Homey. Hearty. Heavenly hued. 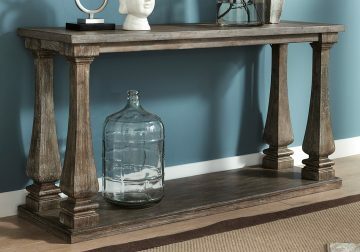 Luring with a distressed weathered gray finish and square baluster legs set on a broad lower shelf for great presence, the Johnelle sofa table is sure to make your homestead feel that much more like home. The look is beautified with elm veneers and a framed and plank-effect tabletop for a richly crafted masterpiece made for years of satisfaction. Updated traditional styling. 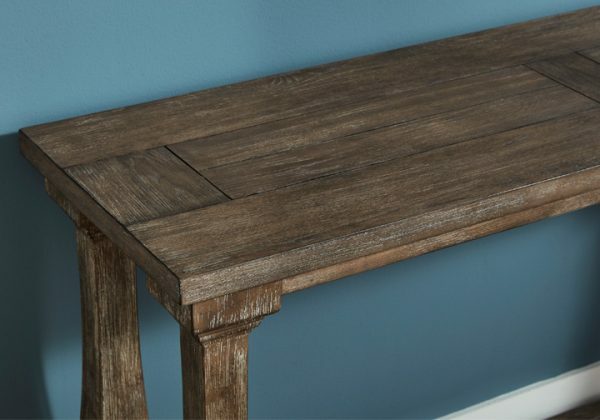 Made with Elm veneers, solid wood and cast PU components. Distressed weathered gray finish. 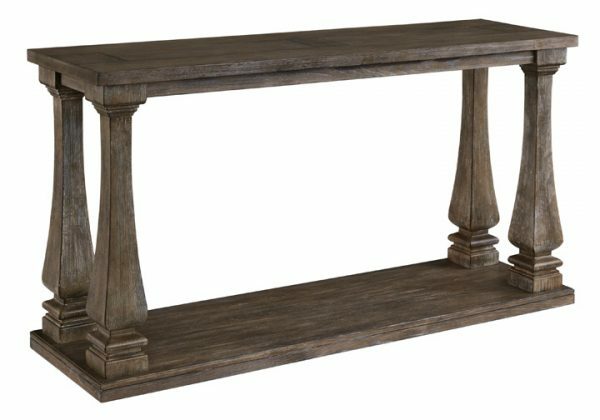 Framed and planked details highlight the thick tops. Square shaped baluster legs set on broad lower shelf.